The primary objective of production and operations management is to effectively manage and utilize those resources of the firm that are essential for the production of goods and services. Production management refers to the management of activities related to the production of goods. On the other hand, operations management is a step ahead of production management, or it can be said that the production management is a part of the operations management. Operations Management, as the name suggests is the administration of business operations, by the managers of the organization. The difference between production and operations management is very thin and blurred, which is simplified in this article in a detailed manner. Meaning Production Management connotes the administration of the range of activities belonging to the creation of products. Operations Management refers to the part of management concerned with the production and delivery of goods and services. Decision Making Related to the aspects of production. Related to the regular business activities. Found in Enterprises where production is undertaken. Banks, Hospitals, Companies including production companies, Agencies etc. Objectives To produce right quality goods in right quantity at right time and at least cost. To utilize resources, to the extent possible so as to satisfy customer wants. When the principles of management are applied to the production function of the organisation, it is known as production management. It is a process of planning, scheduling, supervising and controlling the activities involved in the production of goods and services, i.e. the transformation of various resources into the value-added product, in an efficient manner. In this process, the decision regarding the quality, quantity, price, packaging, design, etc. are taken by the production manager, so as to ensure that the output produced confirms the specifications. Operations Management implies the management of day to day business activities, so as to ensure smoothness and effectiveness of operations in the organization. It involves administration of production, manufacturing and provision of services in an organisation. Operations Management is that branch of management, that deals with designing, implementing and controlling the production process, i.e. converting inputs into the output, using resources, in order to provide desired goods and services to customers while adhering to the policies stated by the management of the organisation. Operations Management is all about the optimum utilization of company’s resources, i.e. the resources must be utilized as much as possible, by minimizing the loss, wastage and underutilization. Production Management can be defined as the administration of the set of activities concerning the creation of goods or transformation of raw material into finished goods. Conversely, Operations Management is used to mean that branch of management which deals with the administration both production of goods and provision of services to the customers. 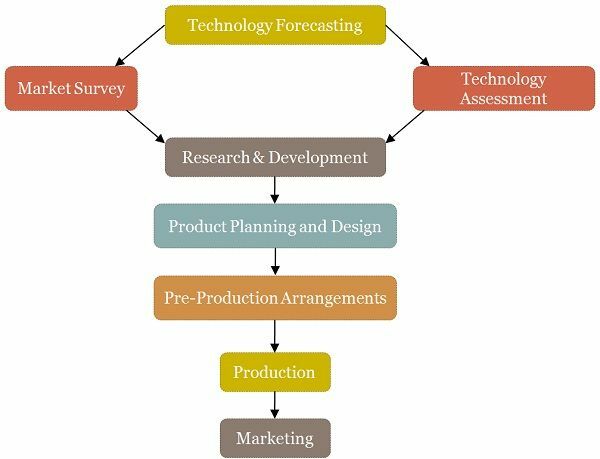 In production management, the manager has to make decisions regarding the design, quality, quantity and cost of the product manufactured by the department. On the contrary, the scope of operations management is larger in comparison to the production management wherein the operations manager looks after the product design, quality, quantity, process design, location, manpower required, storing, maintenance, logistics, inventory management, waste management, etc. Production Management can only be found in the firms where production of goods is undertaken. Unlike, one can find operations management in every organization, i.e. manufacturing concerns, service-oriented firms, banks, hospitals, agencies, etc. The basic objective of production management is to provide the right quality goods in the right quantity at right time and best price. In contrast, operations management aims at making the best possible use of organization’s resources, in order to fulfil the customer’s wants. 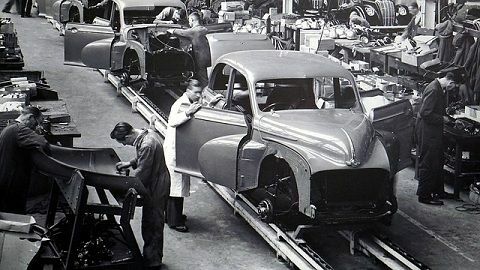 Production and Operations Management are so closely intertwined, that it is quite difficult to differentiate the two. Production management covers administer all the activities which are involved in the process of production. On the other hand, operations management entails all the activities involved in the production of goods and delivery of services such as material management, quality management, maintenance management, process management, process design, product design and so on. Very clearly understandable article but need to be edited in pictorial form for the most clear understanding.